By using some basic ingredients you can make Aaloo Pitika. Aaloo Pitika is mashed potatoes dish in Assam. Its to easy to preparing Aaloo Pitika. 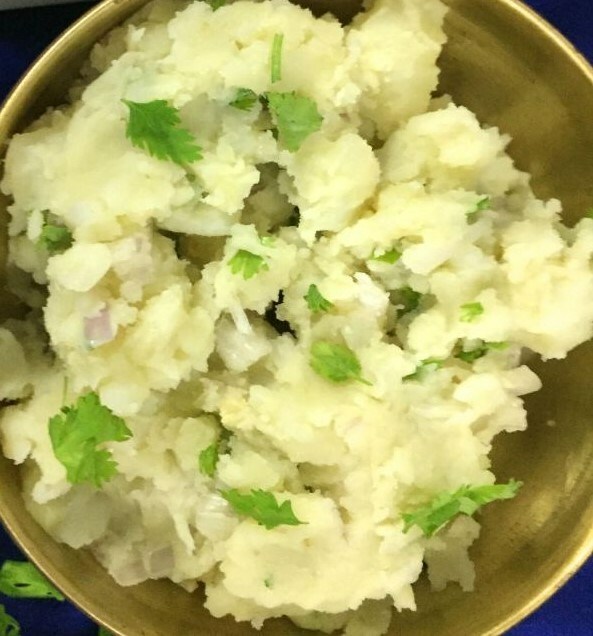 Aaloo means Potatoes and Pitika means Chutney you can also call Potatoes Chutney. This is a similar dish with Bengena Pitika. 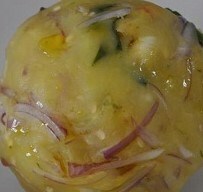 2 Medium size Onion (chopped). Three piece Green Chilli (chopped). Boil the potatoes. Place the potatoes in a bowl of water (so that the skin comes out easily while peeling). peel and mash them in a bowl. Now mix all ingredients – chopped onion, chopped green chilly, mustard oil, coriander leaves, and salt. now your Aaloo Pitika is ready. Serve with hot rice.